2 Handed animation, Inspired by For Honor's Warden Class. FNIS PCEA2 - Player Exclusive Animations (dynamic) Not really a requirement.For that sweet "Only I can do this" feel. -XPMS (for the resource for modders). Animation mod inspired by Warden Class in For Honor. 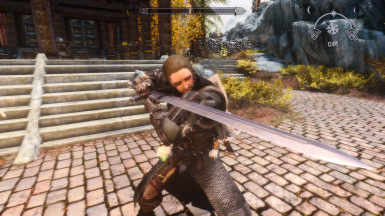 Just offset the vanilla 2h sword animations to point the sword forward and set the left arm to support the sword.